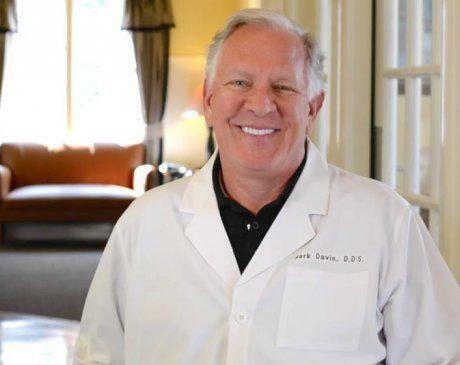 As an expert cosmetic and general dentist, Dr. Mark Davis excels in dental care that focuses on form, function, and beauty. At his practice, Perfect Smile Tulsa, in Tulsa, Oklahoma, Dr. Davis operates under the theory that a great smile comes from the inside out. To that end, Dr. Davis offers dental care that protects the underlying integrity of his patients’ teeth while improving their appearance from the outside. In his quest to provide dental care that leads to healthier, happier, longer lives, Dr. Davis uses the latest technology and dental techniques to give his clients a reason to smile every visit. Dr. Davis received his doctorate in dentistry in 1982 from the University of Oklahoma in Norman, Oklahoma. From there, Dr. Davis operated a boutique dental practice in Utica Square Medical Center for 16 years before moving to the current location of Perfect Smile Tulsa. Over the years, Dr. Davis has received continuing education on the latest innovations in cosmetic dentistry, sedation dentistry, full mouth reconstruction, advanced endodontics and periodontics, Botox®, and more. Dr. Davis is a member of the American Dental Association, Oklahoma Dental Association, American Academy of Cosmetic Dentistry, Dental Organization for Conscious Sedation, and Academy of General Dentistry, among others. Dr. Davis makes his home in Tulsa with his of 30 years and has three grown children (and two mischievous dachshunds).